Beautiful, laser cut cake topper. Cut from 6mm high quality Oak veneer. Suitable for: weddings, anniversaries, birthdays etc. · · Personalised with two initials in the centre heart. 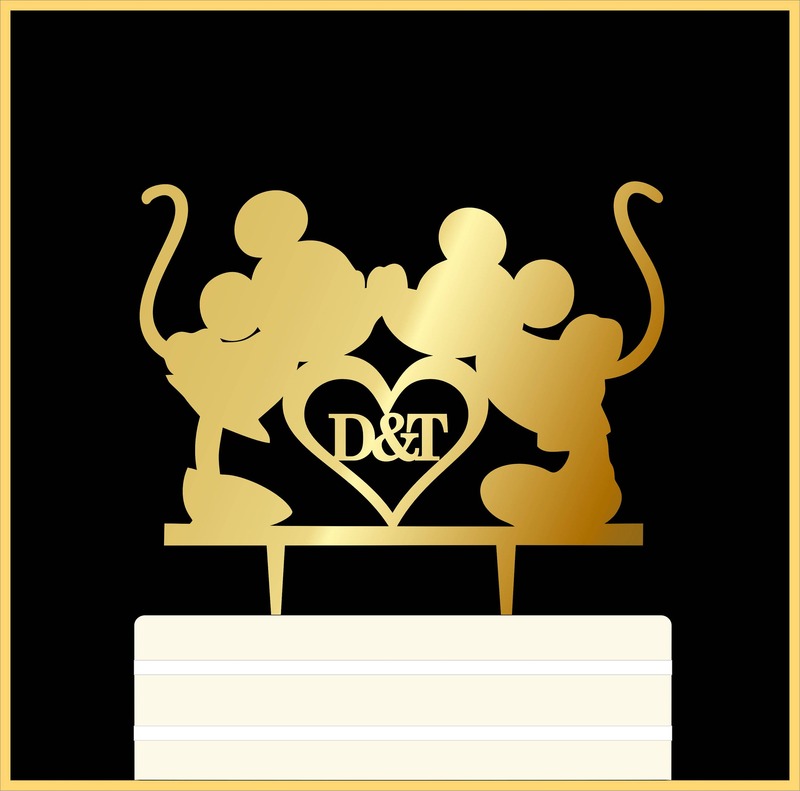 Disney 'Delux' Personalised Cake Topper. Suitable for Disney Couple celebration: Engagement, Wedding or Anniversary: Various Colours. Custom Made. Wedding Decoration. Every cake topper is handmade in our studio, in South Wales. U.K. We take pride in our work and provide our own unique designs, with meticulous construction using only the highest quality materials. Thank you for visiting us and we hope that you enjoy our work! ✦ Initials you wish to be added. your cake topper with 7-10 business days. • 6mm Thick Oak Veneer Wood. 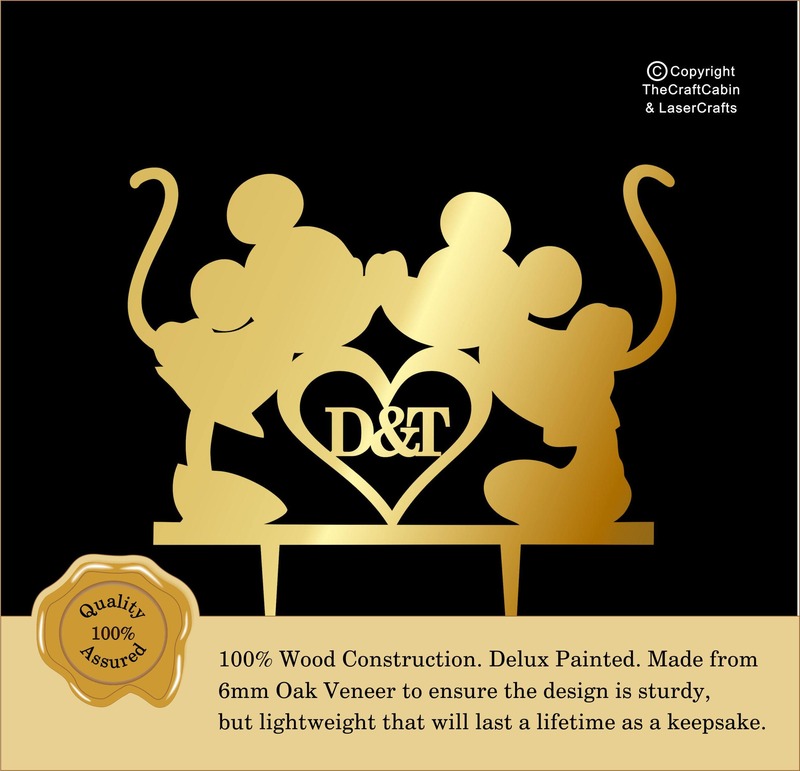 • Initial primer coat to ensure a durable final finish, yet fine enough to show the wood effect. 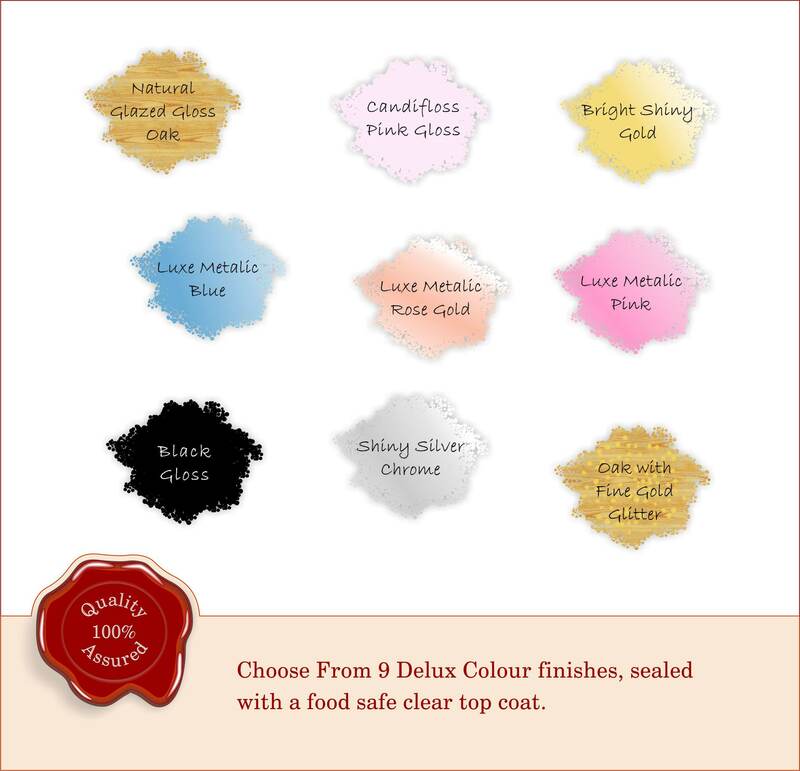 • Metallic, Glaze or Gloss luxe paint and food safe exterior clear topcoat. •5cm stem allows cake topper to stand sligthly above the cake or lowered to sit flush. •Our personalized cake toppers are made to order. Handling time is approx 7 days, this is to allow us to prime, paint and top coat over this duration to allow a perfect finish. •Domestic orders are shipped via Royal Mail Class Mail Post (2-5 days transit). •We do not currently offer Express shipping. •Each order includes FREE shipping insurance for loss, theft, or damage. •Your cake topper will be packed carefully in bubblewrap and tissue paper, in a sturdy postal box, to ensure safe delivery. We offer a 100% satisfaction guarantee. Personalised products cannot be returned.. However, if for any reason the item arrives damaged, then let us know within 24 hours of receiving, along with image of the damage upon arrival and we will send a replacement asap. All of our high-quality cake toppers/decorations are made from food friendly materials. ✦The cake topper spikes are safe to use on cakes and other food goods. 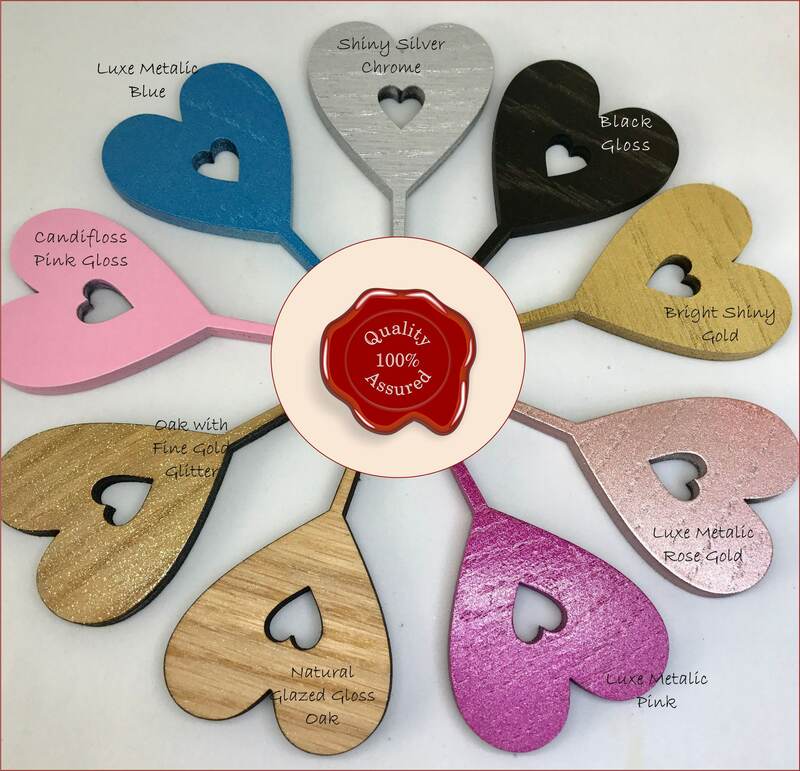 ✦Our wooden toppers are finished with a food-grade mineral oil. ✦Acrylic cake toppers are a non-toxic product. ✦Spray painted cake toppers are sprayed with a non-toxic food grade shellac paint from Rust-Oleum.